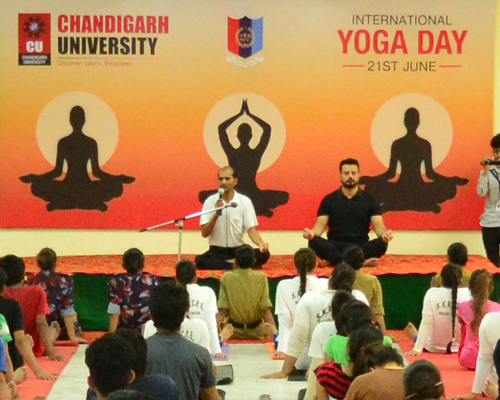 Chandigarh University promotes the sports activities and ensures the student participation. We understand that your living environment is vital to your overall experience. Beliefs and perspectives are a hallmark of life at CU, an integral part of a liberal arts experience, of your experience. The university experience is about gaining independence and freedom. You’ll find everything you need on our campus; accommodation, entertainment, places to eat and drink and outstanding sports facilities. Students from 30 Countries, 29 Indian States and 5 Union territories there are plenty of opportunities to make friends, cultural exchange and build memories. 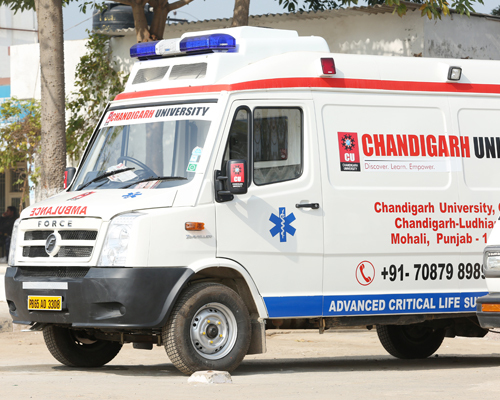 Safety and added comfort, both are the prime concerns of Chandigarh University. At Chandigarh University, we provide the best banking facilities to our students. At Chandigarh University, we provide the best banking facilities to our students. 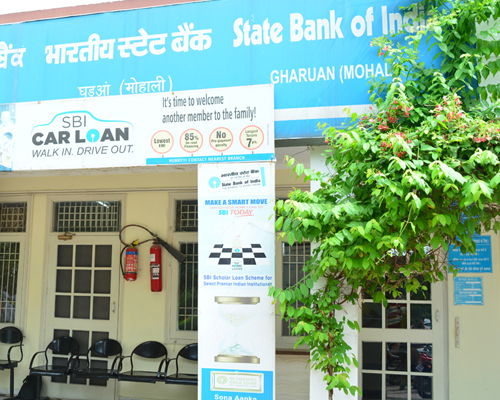 In order to cater to their banking needs, we have on campus, fully air-conditioned and fully computerized branch of State Bank of India, which is based on CBS platform. The eligible students of Chandigarh University can also avail the facility of Educational Loan from the "on campus "branch of SBI. In addition, to meet the daily requirements of cash, we have ATM machines of SBI, HDFC and PNB installed at different locations on the campus. To deal with any kind of medical emergency, registered Medical Doctor is available in the campus during the working hours and there is separate OPD room for girls and boys along with the three Ambulances inside the campus. Medical Supervisors are also available 24*7 for the students inside their hostels. Also, you may carry the basic Prescribed Medical Kit with you when your report to the campus. Industrial visits sensitize students to the real-time challenges that organizations face in the business world. It is considered as a strategic way of inculcating knowledge by bringing them across the on-going employment practices. With an aim to go beyond academics, visiting a company gives a practical perspective opposite to theoretical knowledge. Excursion Trip enhances students' learning experience by providing them with opportunities to participate in curriculum-related activities conducted away from the normal college routine. 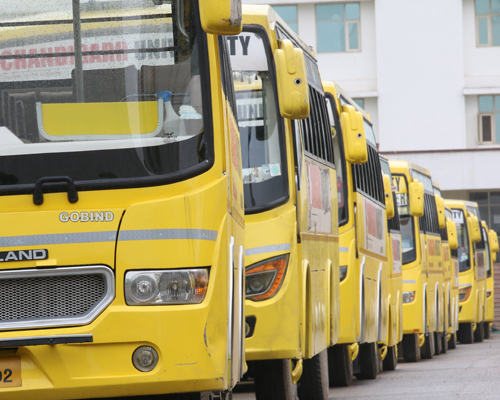 Chandigarh University's excursion trips are an influential part of the curriculum, giving significant meaning to the education. These trips are well planned, developing qualities of self-confidence and leadership amongst students. The Mentoring agenda at CU is exclusive that works on the principle of assisting and empowering the Mentee. Friend-- Philosopher-- Guide, we embark on this approach. Each faculty is appointed as a Class Counselor for a group of 20 students. These 20 students will consist of an equal number of students for each academic year. This criterion helps each student to realize and develop his or her potential and efficiently express personal thoughts about the system. The Counseling Department of CU offers a supportive process to students that help them to become aware about their academic strengths and limitations. We focus on the areas of developing academic skills that strengthen their career plans. The counseling sessions are to be held once in a week and students are recommended to attend all the sessions as it facilitates a positive change in the pursuit of their goal. The counselor is available in the campus to provide helping approach and the matters discussed while counseling are kept confidential. We have many outlets across campus including restaurants, delis and cafés in easy to reach locations. We have many outlets across campus including restaurants, delis and cafés in easy to reach locations. There are also many more exciting choices and offers in all of our outlets including grab and go salads, sandwiches at great value. Stocking all essentials for daily needs, our on-campus tuck- shops provide convenience groceries, grab and go snacks, stationery essentials plus some specialist stationery and equipment. We also sell a wide range of Chandigarh University – branded clothing and gifts which can be bought in brand store located at Academic Block 6. Nothing is more worth than a healthy body. Sports and games are an essential part of an individual's life, contributing in enhancing the quality of life. Understanding the importance of sports, Chandigarh University promotes the sports activities and ensures the student participation. The university organizes inter university and inter college/department events that foster team spirit among the participants and make them disciplined. The university provides fully equipped gymnasium in boy's hostel and a girl's hostel as well. Gymnasiums are equipped with cardio, weights, and free motion equipment. Besides, there are tennis, badminton, and basketball courts, walking/running track and sports fields (cricket, football) and expansive landscaped lawns.